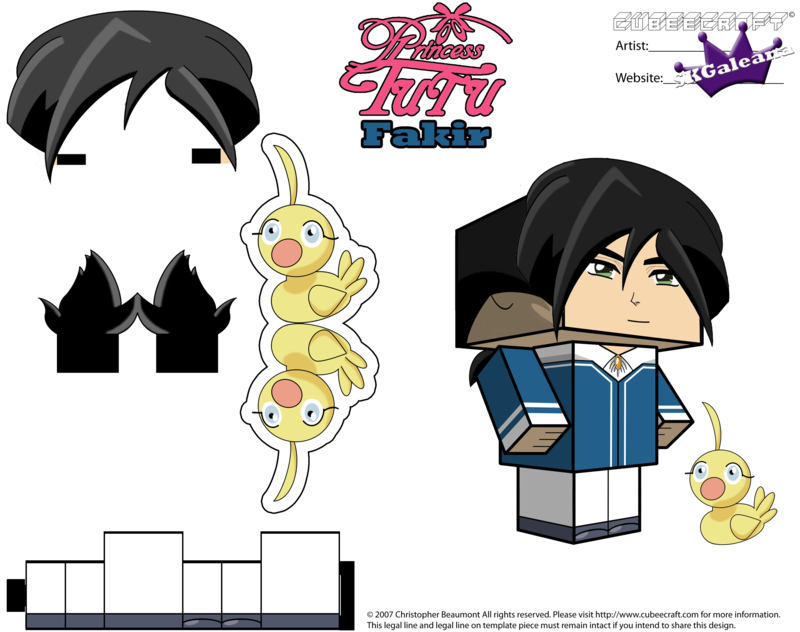 Fakir is the first one I completed. Use the two links above to download the templates to the cubeecraft. You will need both parts to make this cubeecraft. There are two red lines that must be cut on the left and right of the face. The two tabs on the hair need to be inserted into these holes to attach the hair to the face. The legs of this cubeecraft are a bit longer than a normal cubeecraft, but I made the decision to expand them so that it will resemble the characters a bit more (they have very long legs in the TV series).